Shopping for Deadpool Travel Cups? 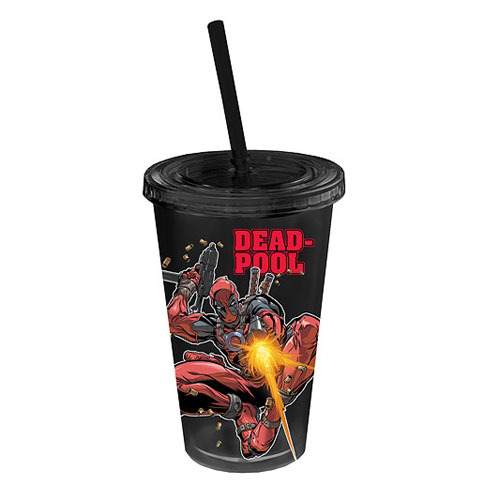 Complete with lid and straw, this Deadpool Action Plastic Travel Cup is a 16-ounce plastic cold cup that's sure to delight any Deadpool fan! Hand wash only. Not dishwasher safe. Do not microwave. Ages 14 and up!